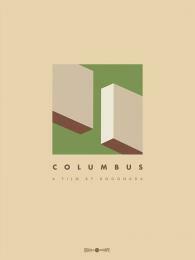 When a renowned architecture scholar falls suddenly ill during a speaking tour, his son Jin (John Cho) finds himself stranded in Columbus, Indiana—a small Midwestern city celebrated for its many significant modernist buildings. Jin strikes up a friendship with Casey (Haley Lu Richardson), a young architecture enthusiast who works at the local library. As their intimacy develops, Jin and Casey explore both the town and their conflicted emotions: Jin's estranged relationship with his father, and Casey's reluctance to leave Columbus and her mother.